Our wedge manufacturing facility (formerly G.E Perth) is located at our purpose built premises in Midvale, Western Australia. In partnership with Dr. Michael Znidarich of GMECS, we are able to provide customers design and manufacturing services for all large rotating machinery stator and rotor repairs. 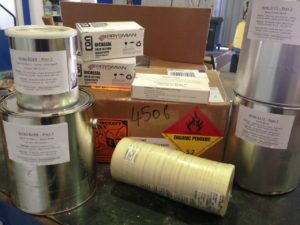 We stock premium quality high voltage ancillary components that enable us to provide full outage wedge kits including epoxies, resins, slot strips, insulation and finishing paints. Whether it is a full wedge kit or a one off component we will assist you by providing quality service delivery every time.